What a way to begin your workday. The progressive conservative has taken New Orleans by storm. Originally from Boston, Rob has learned the lessons from TAX-A-CHUSETTS all too well. Check out the Right morning show weekdays from 6 to 9 am. If it's in the news, Neal Boortz is talking about it...Neal is conservative enough to upset the liberals and liberal enough to upset the conservative...Neal shoots from the hip and calls'em like he sees'um. 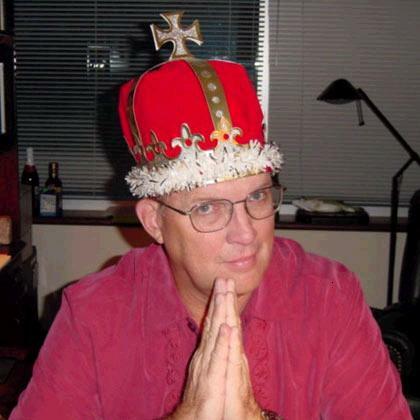 Neal Boortz, a.k.a The Talkmaster, Mighty Whitey and The High Priest of The Church of the Painful Truth or as one competing talk show host calls him  That Vicious S.O.B. Get the low down on who what when and where in the New Orleans sports scene. 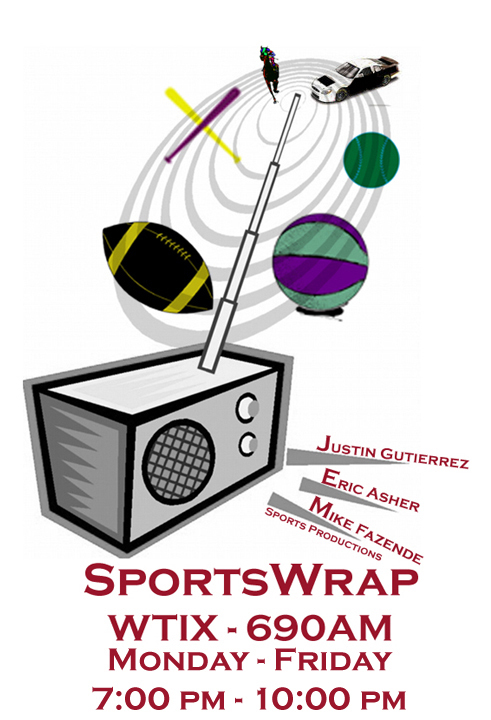 Eric Asher and Justin Gutierrez have the best guests in New Orleans sports radio. From the Saints to the Greenwave, the Hornets to LSU, the sports wrap crew is on top of the scene in New Orleans sports. The Nationally syndicated talk show that Talker's Magazine deemed, "the fastest growing syndicated talk show in talk radio history." After just one year in syndication, that same publication moved Hannity up to 2nd place in the nation in their semi-annual list of nationally syndicated radio talk show hosts. He had officially become an American phenomenon. Voted "Talk Personality of the Year" in 2001 by the readers of R&R, Sean Hannity's energy, charisma and seasoned professionalism score high points with audiences and critics alike. Best Selling Author, Ms. Bruce is a veteran radio personality, hosting The Tammy Bruce Show in Los Angeles on KFI from 1993-1998. She is also a contributor on the Fox News Channel. Her editorials and commentaries on significant social issues have been published nationally and internationally in a wide variety of magazines, newspapers, and on television and radio. "I never realized that growing up in Brooklyn, flying jets, working on Wall Street and starring in a sci-fi series was the prerequisite for the fast-paced demands of talk radio," says Jerry Doyle. "But, if that's what it takes to succeed, I'm glad I did it all." Doyle works long hours balancing his busy daytime acting career in television and movies with his nationally syndicated evening radio career. Listeners will enjoy Doyle's anecdotal humor, satirical observations and well-rounded social commentary. His ability to choose compelling topics provokes lively conversations on the issues of the day. The program is caller-driven, issue-oriented and fast-paced. Listeners enjoy Doyle's wit, as well as his ability to seriously engage callers from across the nation in fascinating conversations. Whether you are interested in the best of Authentic New Orleans Jazz, New Orleans Style Jazz, Piano Jazz, Traditional Chicago Style Jazz or just the best of the blues, you will find it here. No other show in the country has the album collection of well known greats and lesser known gems than Jazzology.